In May 2011 after an extensive search we were handed the keys to our new premises in the courtyard of the Haycock Hotel. We then spent the summer getting the décor and ambience just right – ‘elegant chic’ for the brides and ‘bachelor cool’ for the guys. During our first year it was great to meet so many happy new brides and grooms all of whom were very supportive and enthusiastic in what we were creating in terms of choice of dresses, range of menswear and customer service we were providing. In 2013 we were pleased to be nominated for Best Menswear in the National Wedding Industry Awards for 2014. We were extremely pleased when we were announced Regional Winners later that year and absolutely overwhelmed when at the award ceremony in January 2014 we were announced National Winners! An absolutely fantastic achievement for a business as young as ours! 2014 saw us introduce the Eliza and Ethan Bridesmaids Dress to the Vow Bridal Gallery. These are the original and best multi-wrap dress and their versatility and wide ranging colours complement our wedding dresses and match our menswear ties and cravats. In 2014 we were again nominated for Best Menswear Retailer in the National Wedding Industry Awards. As they say it can be harder to retain a title than it is to win it, unfortunately that proved to be the case. We were still Regional Finalists however so it confirmed our consistency in delivering the best in customer service! With all this success and positive recommendations it was not surprising that we were starting to outgrow our surroundings at the Haycock Hotel. And, so in July 2015 we moved to our new premises just across the road to what most people remember as Fiddlesticks Restaurant. In our new premises we were able to maintain our ‘bridal chic’ and ‘bachelor cool’ feel whilst increasing our floor space to include a welcoming reception area, 2 bridal showrooms and 2 menswear showrooms. We also added a beautiful range of lace sarees and saree inspired dresses to our collection to continue our quest to appeal to many different brides. Our move led to even more success and in 2016 we had a bumper awards year. We were winners for the Best Bridal Boutique East of England in the English Wedding Awards, and we won the Peterborough Telegraph Business Award 2016 for Best Customer Service. We were also regional finalists in the National Wedding Industry Awards in both the Best Bridal Boutique and Menswear Provider categories. To date 2017 has been another great year for meeting lovely brides and grooms and we have had a record number of sales during this year. 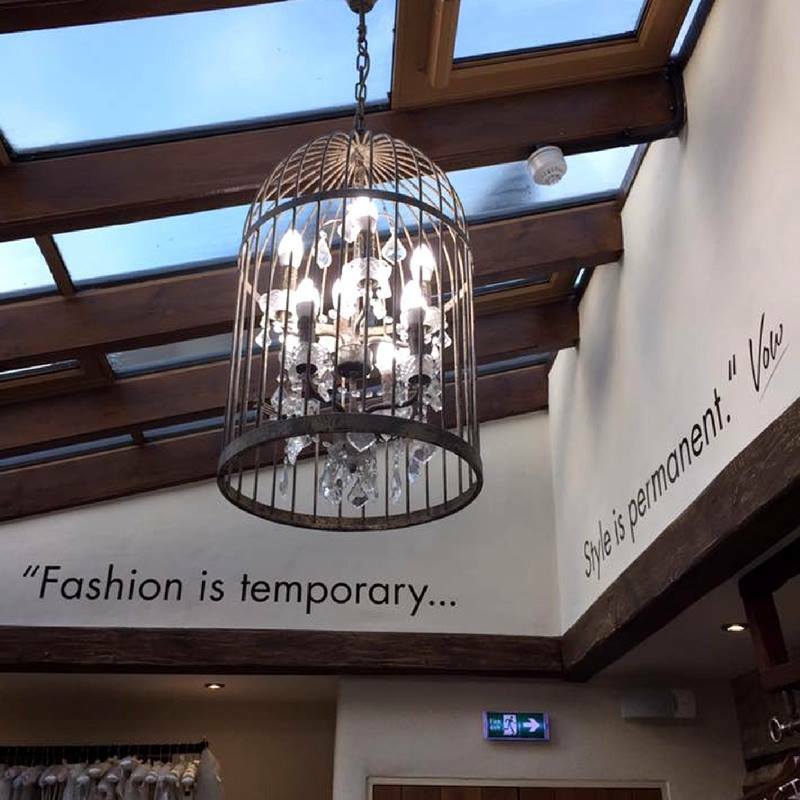 Our vision of creating that ‘different’ boutique really has come to fruition when we reflect on how many different styles of dress our brides choose. It’s not like there’s one huge big seller that everyone wears, and it stands out to us particularly as we start to emerge from doing lots of alterations and final fittings with all our brides this year. Our 2 seamstresses have commented on how many different styles of dresses they’ve worked on and that makes for far more fun for all of us. The rewards of seeing lots of different brides is amazing. Earlier in the year however we had to say goodbye to a valued member of the backroom staff, Roxy, our cat. After a long (but enjoyable!) day it was good to get home where Roxy would be there waiting for us meowing impatiently wanting her tea! After a short illness we unfortunately had to let her go this February. A sad time all round… Then in early August we were offered the opportunity to look after 2 cats who were in need of rehoming, both incidentally from a previous Vow bride and groom (but that’s another story or blog!). How could we say no? So now we have Jackson and Brucie as part of the of the backroom staff meowing every time we get home, both twice the size of Roxy and so far twice as much trouble! So, that’s a quick look back as to where we are in the lead up to our 7th year. We would like to put on the record our thanks to all that have helped in establishing Vow Bridal Gallery as Peterborough’s leading Bridal Boutique and Menswear Specialist, our designers, our suppliers, our industry colleagues and most importantly our Vow brides and grooms. Looking ahead we are looking forward to the continuing challenges of offering that something a bit different for both brides and grooms and maintain our position as the must go to Bridal Boutique and Menswear Hire Specialist. We are also looking forward to meeting lots more wonderful brides and grooms who will be getting married in the next couple of years, so see you soon! We thank Paul Bryant, Bob Laughton and Liz Greenhalgh for their wonderful photographs, as well as other wedding photographers whose fabulous photos that we have included which our brides and grooms have sent to us. ‘Open Day’ – Sunday 1st Oct, 11am-3pmMen’s Tweed Wedding Suit Hire Now Available!